Easter is a real big thing in Ghana and one of the biggest celebrations. A lot of festivals are during the Easter holidays. One of them is the Kwahu festival in the Eastern Region of Ghana. Since 2003 it is combined with a lot of paragliding action going on (so it's also known as the Paragliding Festival). Pilots from everywhere in the world are coming to Ghana and it's possible to do a tandem flight. Most of the proceeds are going to development and education projects in the nearby towns and villages and on the last day only locals (mostly children) can fly for free. Of course I couldn't imagine to miss a celebration like that, so me and some friends travelled to Nkawkaw, which lies on the foot of the mountain where they do the paragliding. The villages on the way going there accomodate the actual festival, which is big fun, especially in the evening there is a huge party going on. On Sunday it was finally my time: I got a big backpack on which was strapped to my pilot Ed, ran towards the edge of the mountain and ... suddenly I was flying. 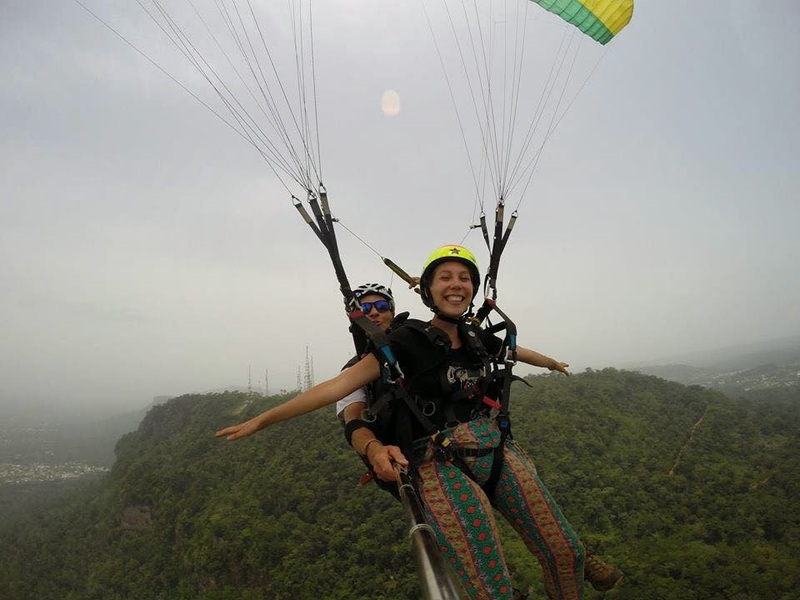 Paragliding is something I can recommend to everyone, it can be very exciting if your pilot does a lot of tricks but it can also be very peaceful just to hang out and enjoy the view. So if you ever plan to go to Ghana, why not do it on Easter? The festival is a great combination of tradition and modernity.